As promised in last month, Sony has unveiled the Android and iOS companion apps for PlayStation 4 prior to the launch and the day one patch v 1.50 of 308MB is available for download. If you have pre-ordered the Sony PS4, then you will need to download the latest v1.50, day one patch of around 308MB in size and its now available for download, so that the company has planned to avoid the rush on the day of the console’s launch. Regarding the mobile app companions, it will provide you all information about the games and your friend’s activities. It also has the links to check trophies, achievements, game alerts and invitations and you don’t need to have your own PS4 and if you have one, you don’t need to turn it on to use the app, however, the app design is not complete yet. The app will also help you to find the complete PlayStation 4 web-based manual and details, which is available online here. We have also got a direct patch download link from Sony’s server (here), which will help the users to download the patch update v 1.50 directly and then it can be placed on USB or transferred to the PS4 HDD to install it later. This link will help, if the rush happens on the initial days of launch. If you don’t update the patch on day one, you can play games but you will not be able to login to Sony’s PlayStation Network (PSN), not able to play games while downloading and not able to play Blu-ray movies or games – you need to instal the day one patch in order to enable all these features. PlayStaion 4 will be launched in 2 days and Sony seems to be ready for the big sale of this year. It also has the threefold surprise offer for the PS4 buyers, which makes the gamers to turn to their gaming console, despite Microsoft’s attempt to lure in consumers towards the Xbox One, which will be in shelves a week later. 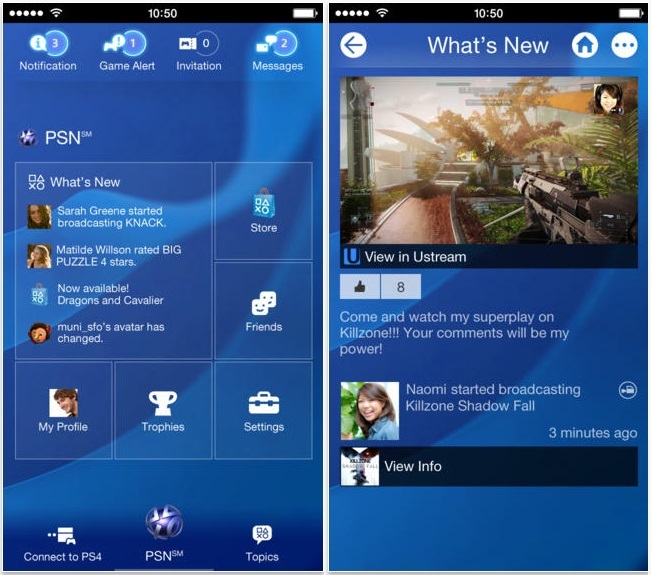 Sony PlayStation 4 companion app is available for download for Android on Google Play Store and or iOS on Apple App Store.